"Waverley" at 14 Walkers Road, Lara, has significance as a predominantly intact example of the Federation style, having been built in c.1902-03 for David and Mary Walker of the long-standing Waverley Lime Company. David Walker had taken over running the family lime manufacturing business established in 1878 by his father, Robert Bell Walker. The business continued to be operated by Walker family members until at least the 1960s. The fabric that contributes to the significance of the dwelling includes the single storey height and asymmetrical composition, horizontal timber weatherboard wall cladding, dominant gambrel roof form minor gabled wings that project at the front and side, broken back return verandah supported by timber posts and featuring curved solid timber verandah valances, strapped, face brick chimneys with terra cotta pots, timber framed double hung windows, front timber and glazed door with high and sidelights, gable infill and the ventilator in the gambrel roof end. The dwelling appears to be in good condition when viewed from the street. "Waverley" at 14 Walkers Road, Lara, is historically and architecturally significant at a LOCAL level. 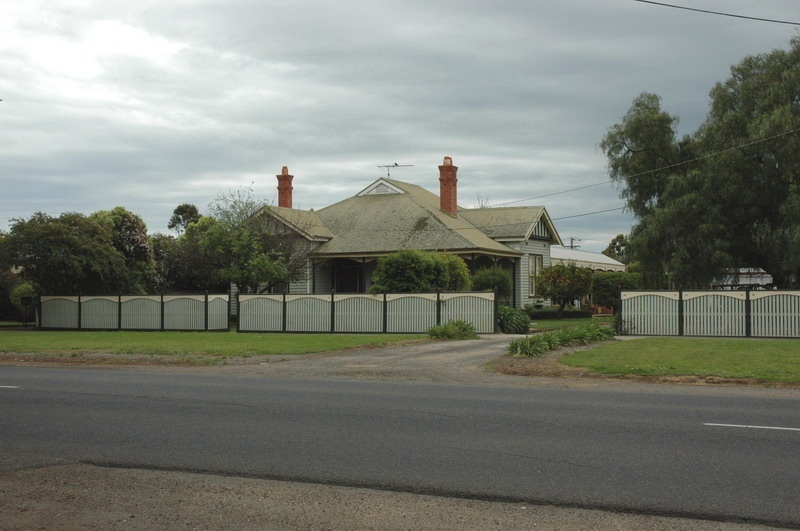 "Waverley" at 14 Walkers Road is historically significant for its associations with the development of housing in Lara during the Federation era (Criterion A) when a number of dwellings were constructed. In particular, the dwelling is historically significant for its associations with David Walker, son of Robert Bell Walker who established the highly successful Waverley Lime Company at Lara in 1878 (Criterion H). A number of lime merchants established lime manufacturing businesses at Lara in the 19th century, although little physical evidence of this important part of Lara's commercial history remains. David Walker continued on the business after the death of his father in 1899, and on his passing in 1945, the Lara Lime Company was managed by David Walker's son, Albert Alexander, until the later 20th century. "Waverley" continued to be owned by the Walker family until at least the 1970s. "Waverley" at 14 Walkers Road is architecturally significant as a predominantly intact example of the Federation style in Lara (Criteria D & E). It demonstrates several original design qualities of the Federation style and it is one of the more intact of a small number of Federation styled houses in the Lara area. 'Waverley' at 14 Walkers Road, Lara, is set on a contextually substantial allotment, having a modest front setback and a very wide set back on the east side. The front is characterised by an open grassed area with central curved pedestrian path and perimeter shrubs and plantings. There is also a tree in the front garden. Along the east side is a gravelled driveway that leads to an introduced garage. Plantings and grassed areas flank the driveway. The front is bound by an introduced capped timber picket fence that complements the dwelling. The single storey, asymmetrical, horizontal timber weatherboard, Federation styled house is characterised by a dominant gambrel roof form together with minor gabled wings that project at the front and side that are linked by a broken back return verandah. At the rear are elongated hipped and contrived gabled additions. The roofs are clad in introduced corrugated Colorbond. Two original strapped, face brick chimneys with terra cotta pots adorn the roof line. Wide overhangs are features of the eaves. The early timber framed double hung windows are arranged in pairs under the verandah and projecting gables. The front timber and glazed door with high and sidelights is also early. Other early features of the design include the timber verandah posts, curved solid timber verandah valances with decorative incisions, gable infill (battening and panelling) and the gable ventilator in the gambrel roof end.